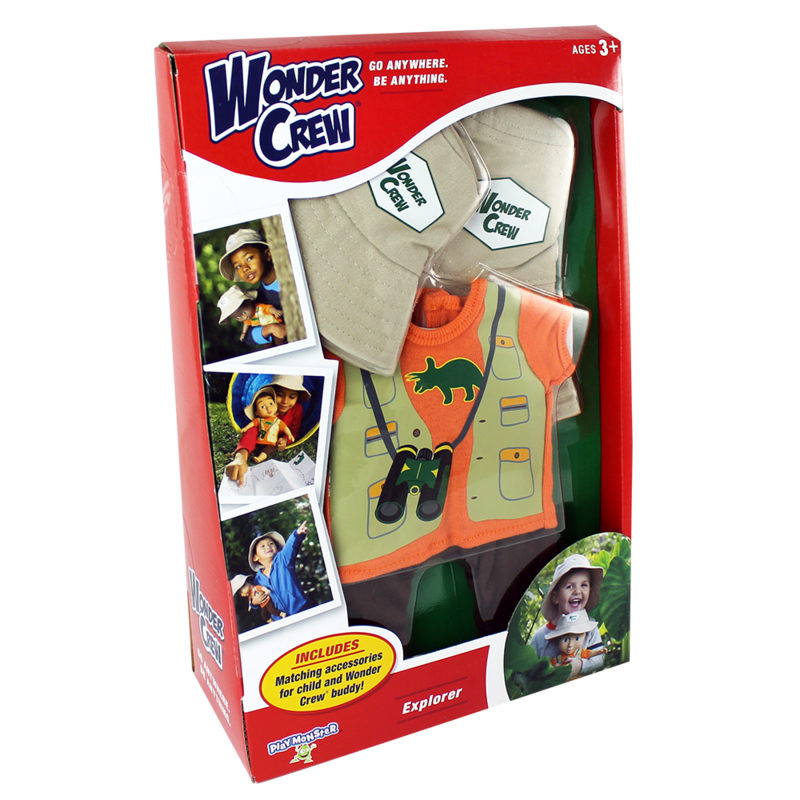 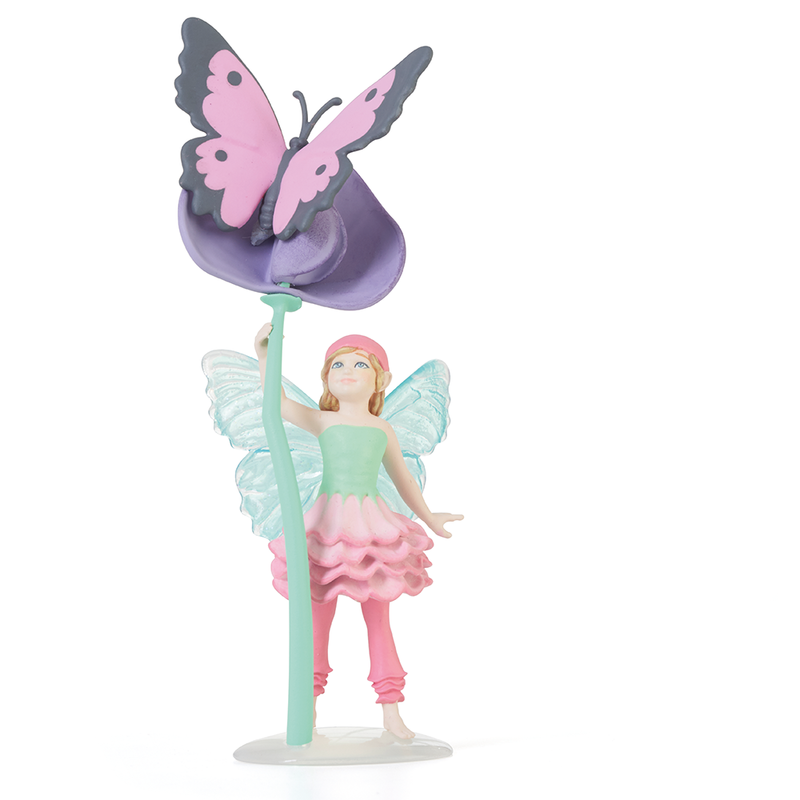 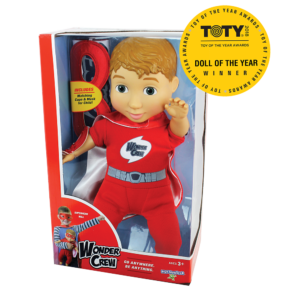 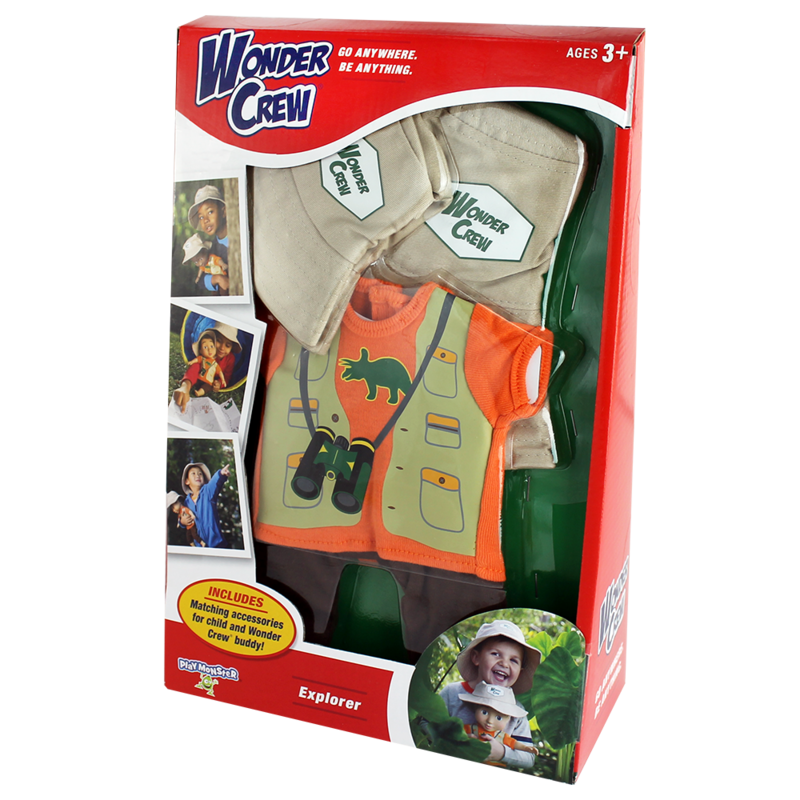 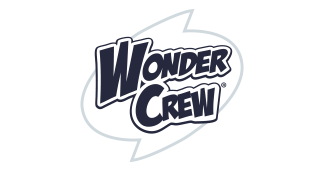 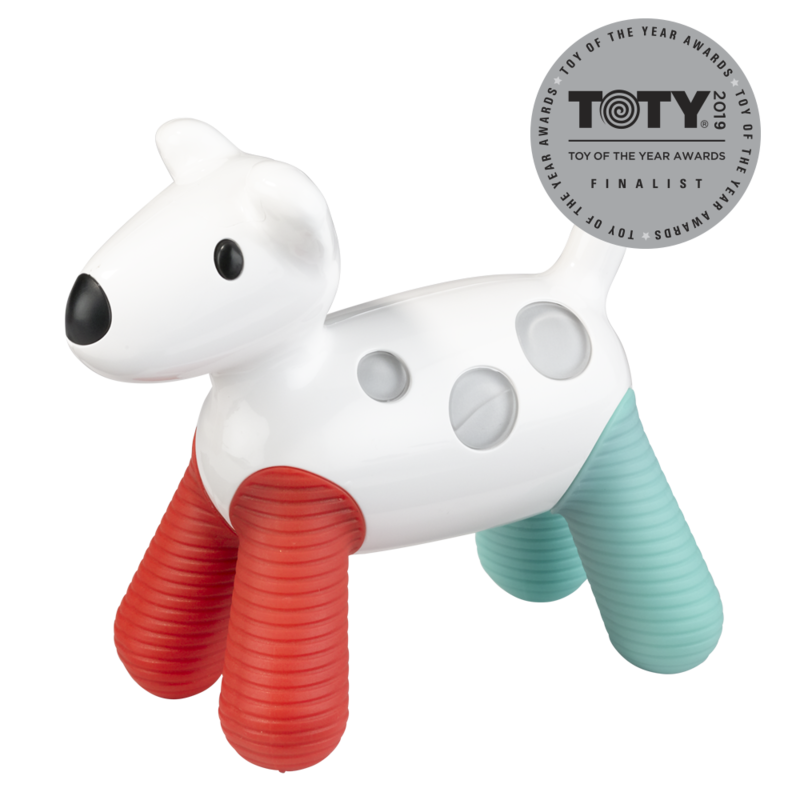 Wonder Crew® combines the adventure of an action figure with the emotional connection of a stuffed animal to give children a best friend! 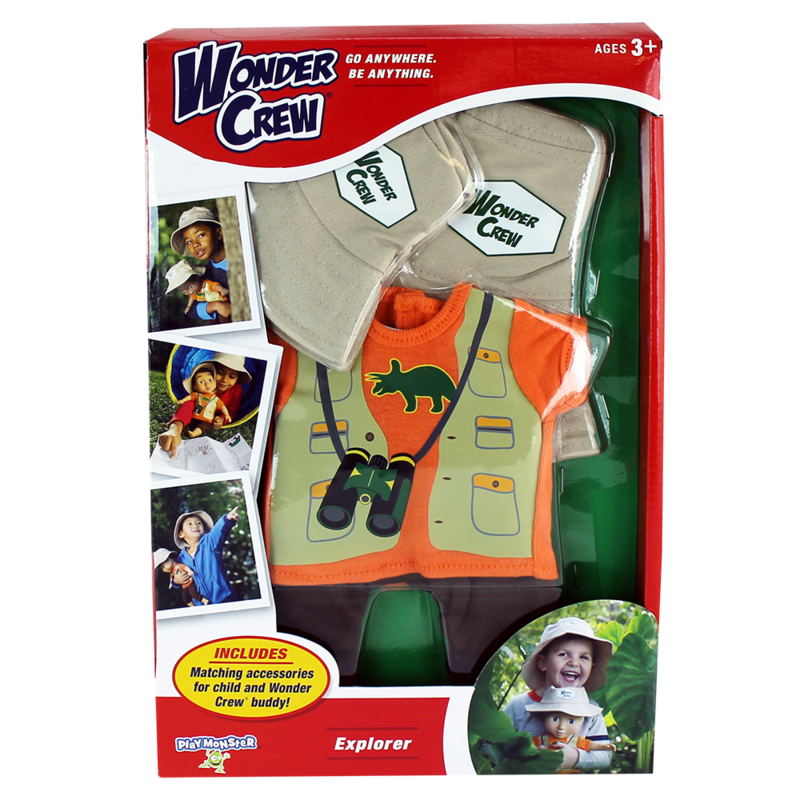 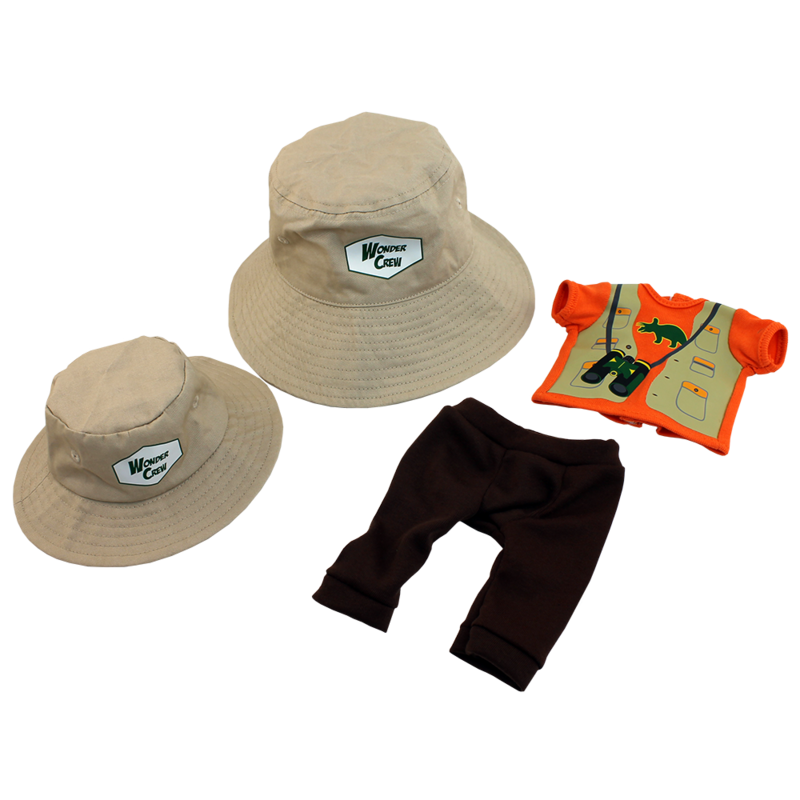 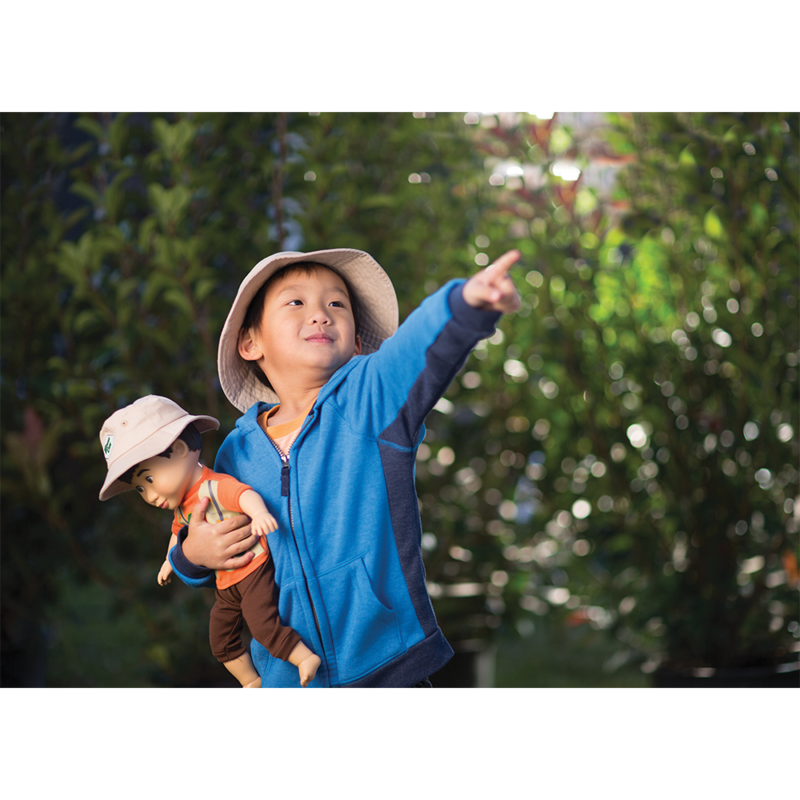 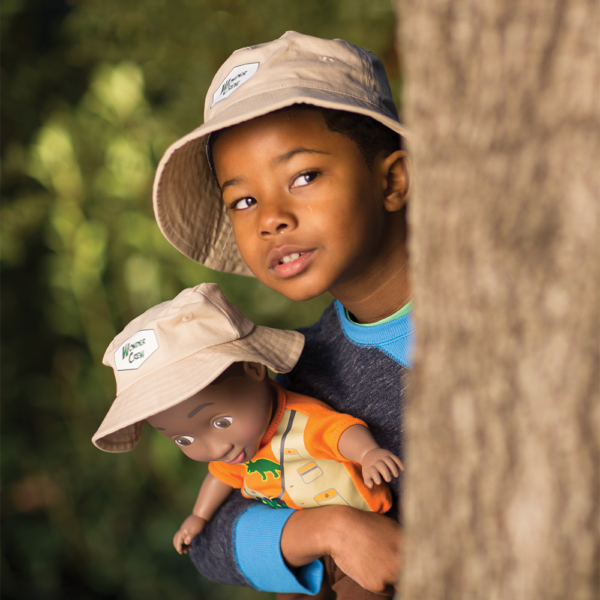 The Accessory Gear allows children to switch up the adventure with an outfit for the buddy and a matching accessory for the child…because it’s “adventure through friendship!” With the Explorer set, children can dress their buddy in a fun dinosaur explorer outfit and safari hat, with a matching hat for them to wear, too! 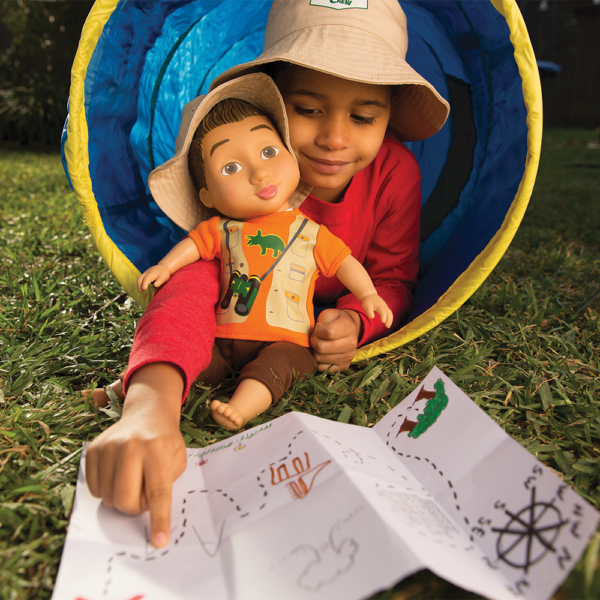 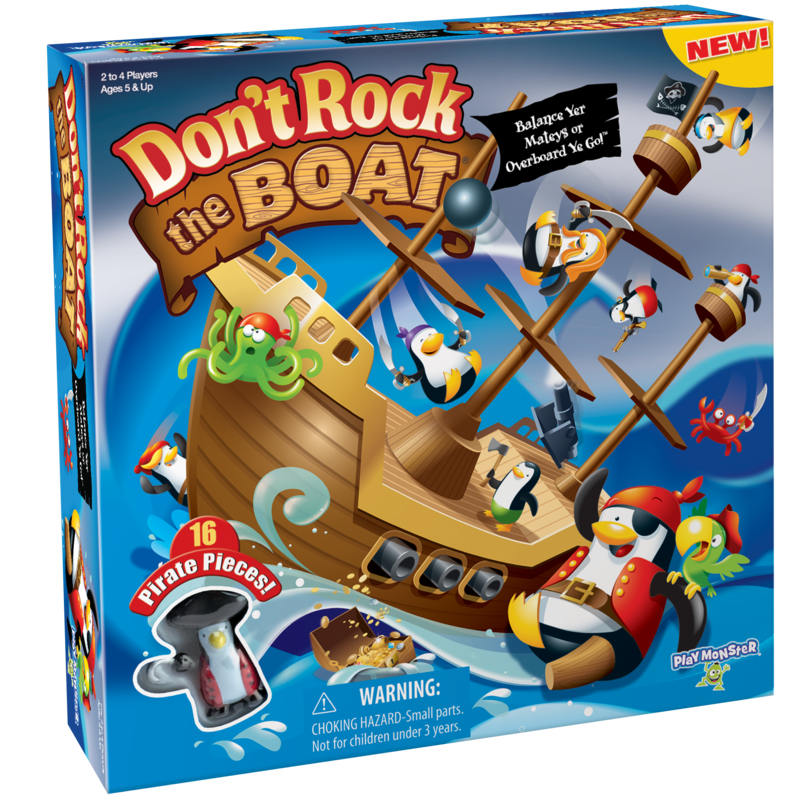 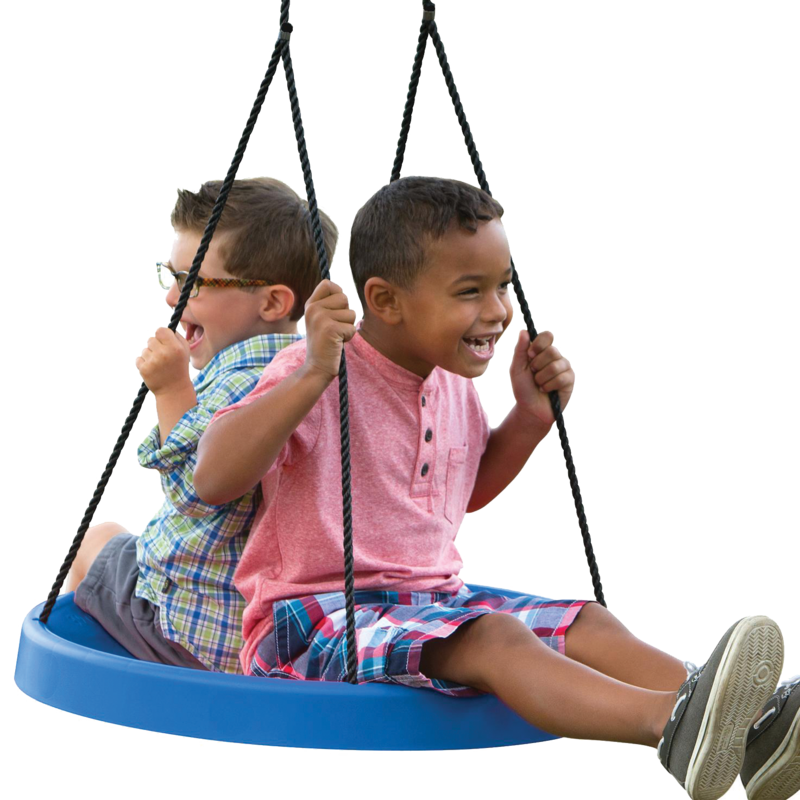 While wearing their gear, the best friends can play and explore! 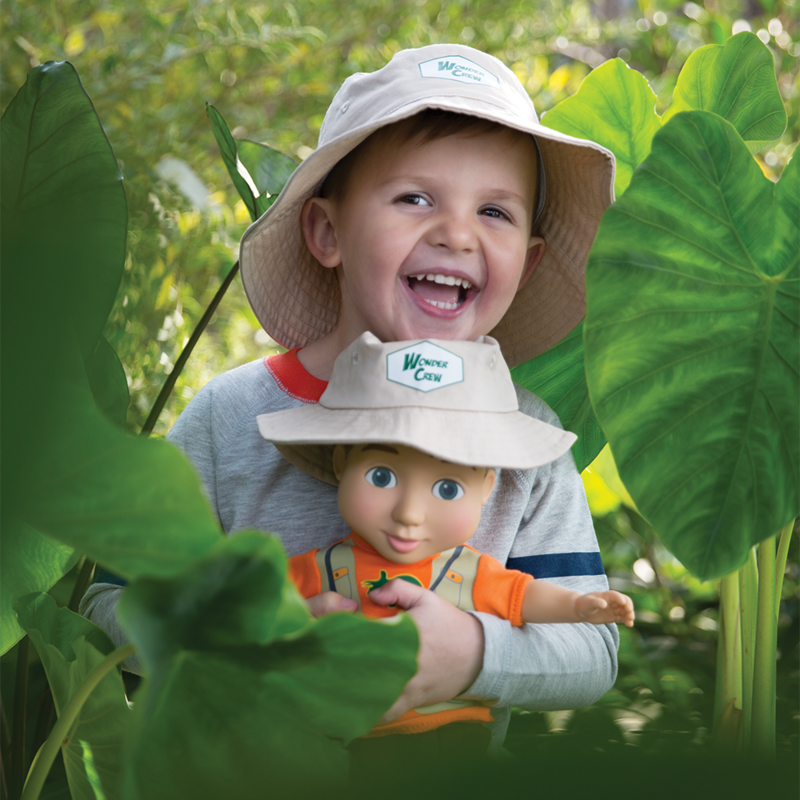 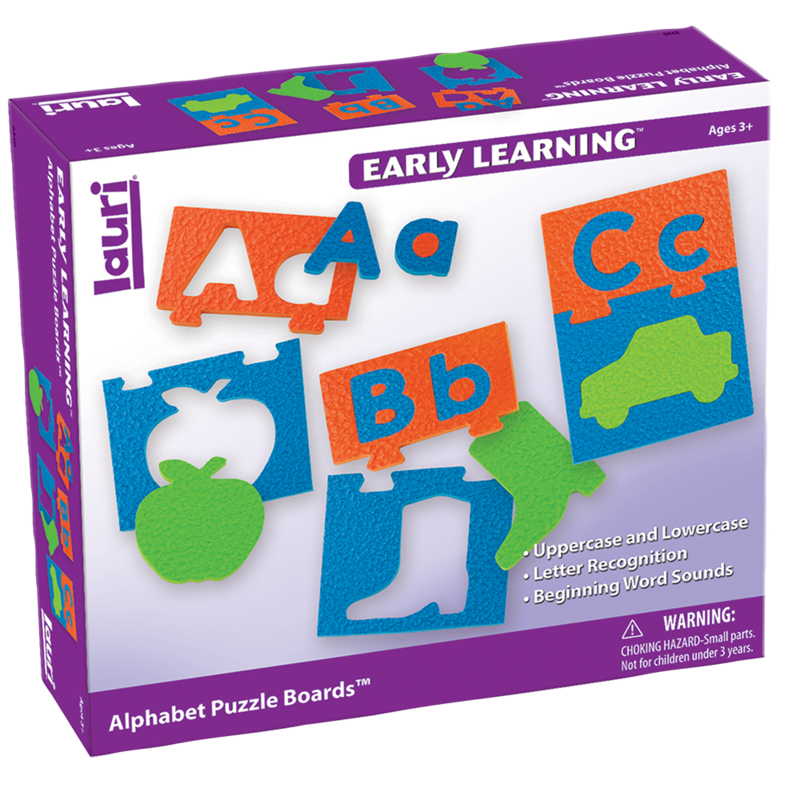 Buddy not included. 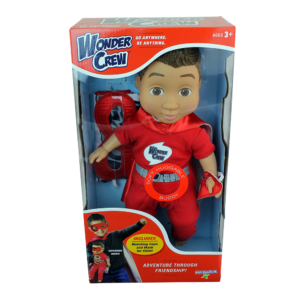 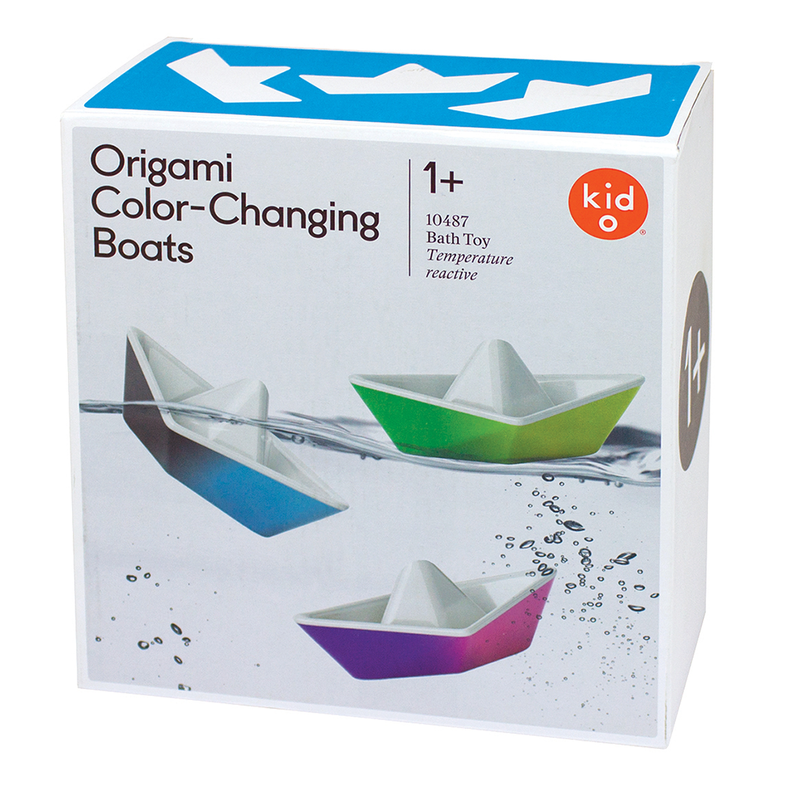 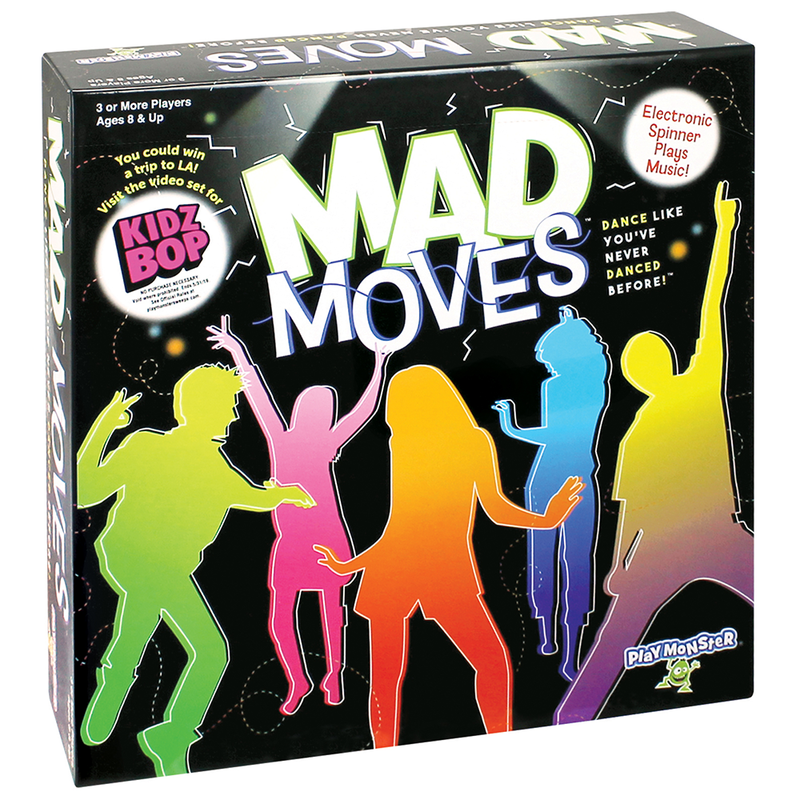 Wonder Crew® was developed by a therapist to promote social and emotional learning, build confidence and imagination, and empower boys to see themselves as important, creative and strong people.